Call your trusted San Jose, CA, burst pipe repair professionals at Genmor Plumbing, Inc. today at (408) 933-9874. For urgent and qualified plumbing repair service. Click here to view our online coupons and specials. Pipes can burst in your home for a number of reasons. These reasons include corrosion, old plumbing, improper installation, unprotected piping and of course, freezing in cold climates. Urgent repair is crucial to ensure that damage is contained as quickly as possible. Explore what other San Jose, CA clients have to say about their experience working with Genmor Plumbing, Inc. professionals by clicking here. A burst pipe in your home can very quickly lead to extensive damage. It is also possible that you may not become aware of the burst pipe right away. If the pipe that has burst is in the ceiling or floor of your home, it could potentially take hours or days for you to become aware of the problem. You may first be alerted to a pipe having burst by water eventually finding its way through a wall or ceiling and leaking into another room. 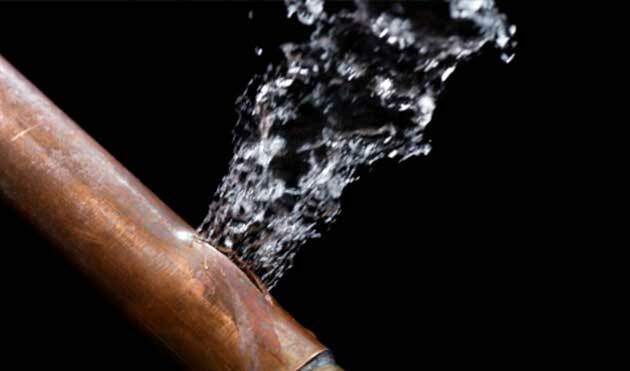 Once you are aware of a leak from a burst pipe, you will want to move quickly to shut the water off to your house. The next step is to make an emergency call to your trusted Genmor Plumbing, Inc. professionals. Genmor Plumbing, Inc. has expert professionals on call at all times to respond urgently to your burst pipe emergency. Water leaking from a burst pipe can cause extensive damage to your San Jose home. The quicker you are aware of a burst pipe, the faster you can get it fixed. Major insurance claims can arise out of one simple pipe that has burst. For instance, if a pipe has burst in the home while you are out for the day, the damage can be substantial. Our plumbing experts will fix the burst pipe quickly and can also help provide you with technical information you may need for your insurance claim. Not all burst pipes are avoidable. Once our expert has fixed or replaced your burst pipe, they can then run a diagnostic check. This process will enable them to see if there are any other areas that can be serviced to prevent future emergency pipe bursts. In case of a burst pipe emergency, call Genmor Plumbing, Inc. in San Jose, CA today at (408) 933-9874. Our expert plumbing professionals will respond urgently to fix your burst pipe and limit any damages possible. Free estimates and your guaranteed satisfaction are always available.